Our beautiful apartments in downtown Pittsburgh have quality options to make you feel at home. 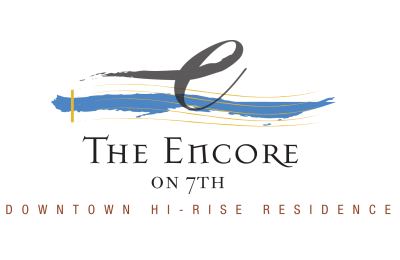 Welcome to The Encore on 7th, where the culture, tradition, sights, and sounds of high-end urban living seamlessly blend at our Pittsburgh apartments. Featuring a community of pet-friendly one- and two-bedroom apartment homes with superior amenities and premium features – all of which have been carefully selected to afford our residents the very finest living experience possible. Discover effortless living in a building where everything is taken care of for you here at The Encore on 7th. With a superior location that places downtown Pittsburgh within easy reach, our community is just steps from the most popular dining, shopping, and entertainment in the city! Enjoy quick access to the Pittsburgh Symphony, The North Shore & North Side, PNC Park, Heinz Field, and stellar views up and down the beautiful Allegheny River and of the city skyline. We take pride in the features and services of our community, and in fact, we are the proud recipients of several “Best of the Best” awards by local apartment associations. We consider it our responsibility to live up to those accolades every day. Contact 7TH STREET APARTMENTS for availability and reserve your luxury pet-friendly apartment in Pittsburgh today.